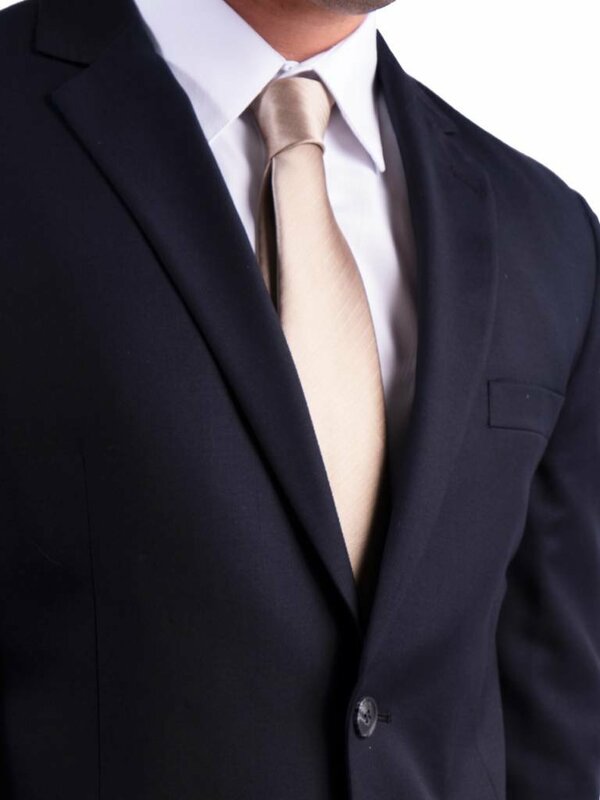 Finely textured merino wool enriches this sophisticated navy suit that is designed for a groom to be fashionably noticed by his bride and guests. 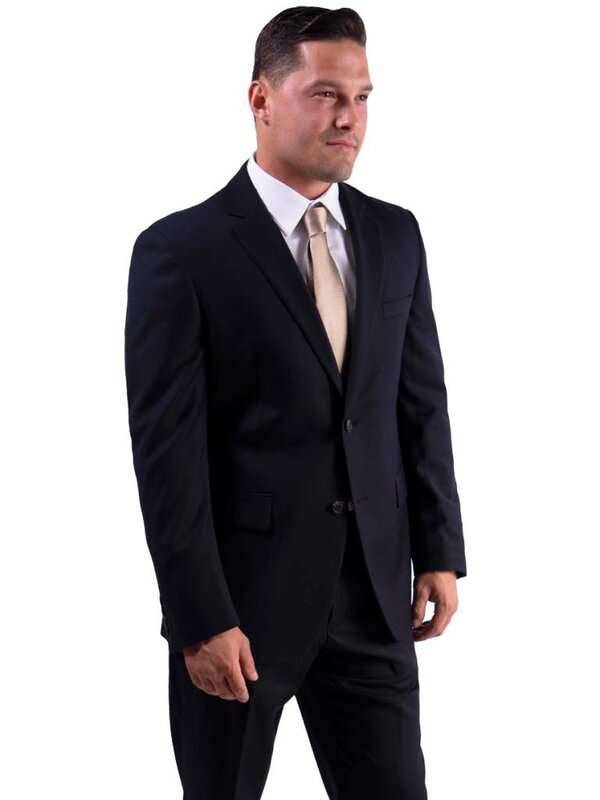 The suit’s deep rich color will complement any wedding color scheme possible. 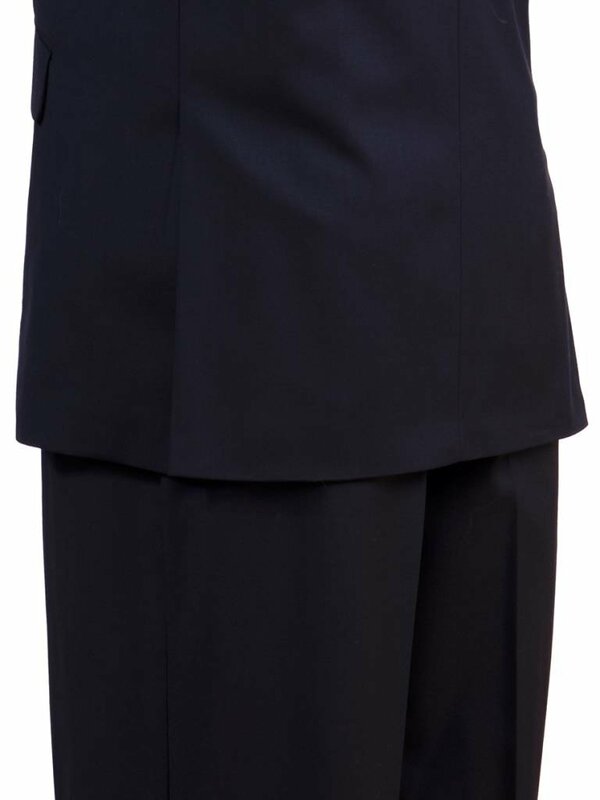 Constructed with a comfortable classic fit, this suit is finished with a traditional notch lapel collar and two-button jacket closure and paired with 36” inseam, unhemmed trousers. 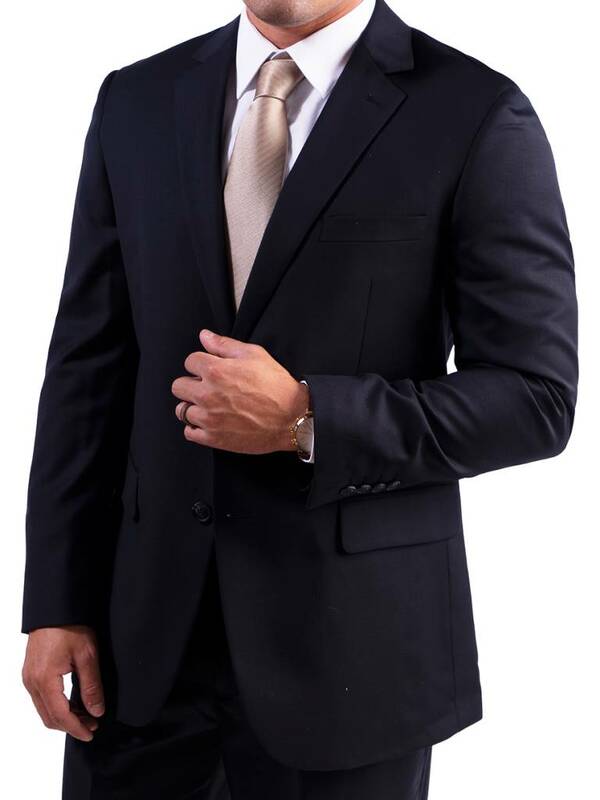 It features multi-climatic, wrinkle resistant, and breathable materials, ensuring you look as good at the end of the day as you did when you first put it on. We are pleased to equip you and your groomsmen with our wedding day survival kit! The Nightfall package starting at $220, is delivered thoughtfully to your door and includes a black label wool jacket, trousers, shirt, and tie of your choice. In addition, we provide a checklist, hanger and garment bag to make your wedding day wrinkle-free and hassle-free. Simply customize your fit, choose from the sizing guide, order, and voila! It’s yours to keep forever.